This strikes me as very odd behavior. 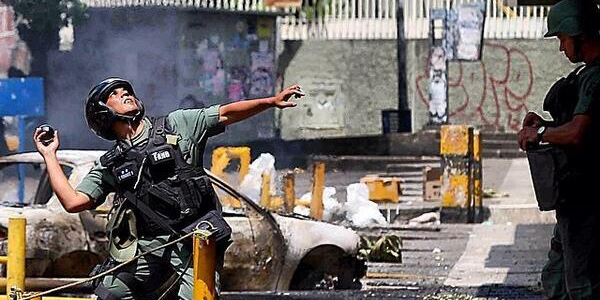 From what we know, human rights violators love to be filmed doing their deeds. There are thousands of pictures of Holocaust atrocities (Godwin alert! 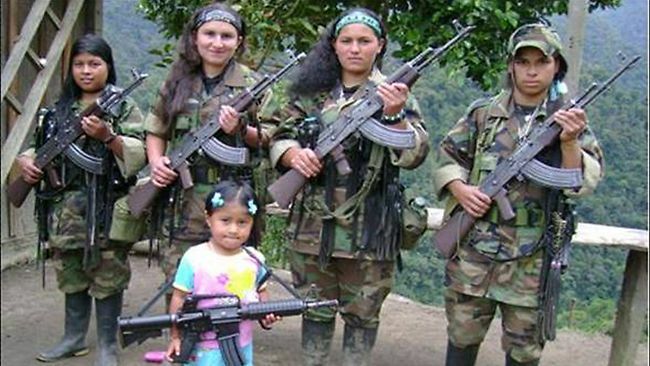 ), as well as proud pictures of FARC guerrilla fighters. Without going too far from home, the colectivos are many things, but camera shy ain’t one of them. The attitude of the National Guard and the National Police is baffling. If their intent is to scare protesters, then why not pose for tons of pictures? The more viral the repression, the likelier the chance they will deter future protests, right? There may be several things at play here. One is that the government does not really want to deter the protests, and that is why they repress in hiding, away from the cameras. But the more likely explanation is that, deep down, these men (and some women) are embarassed of what they are doing. As much glee as they show toward abusing their fellow countrymen, deep down there has to be an element of shame involved. Something deep inside (a conscience? an escuálida grandmother?) is telling them that what they are doing is wrong … so much so, that they don’t want video proof of it. It’s a strange phenomenon: the henchmen (and women) of the revolution as tropical Greta Garbos, hiding the proof of their attacks on civilians. Your explanation for this is as good as mine.